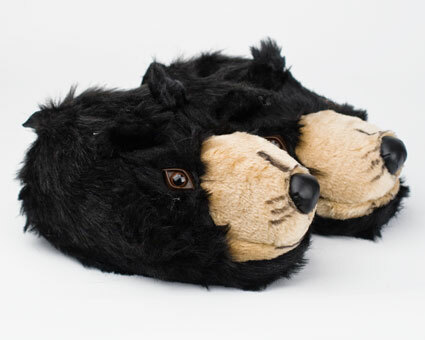 Hibernate through the winter months with these great Black Bear slippers. 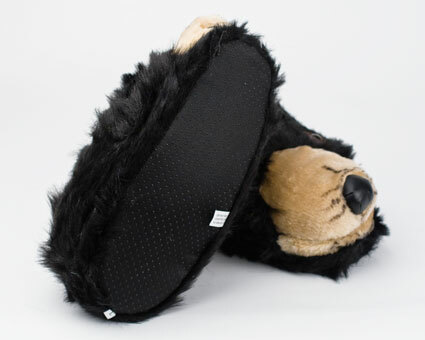 The plush polyester fibers and one-inch thick high density foam will keep your feet warm and comfy, while the durable outer sole and reinforced stitching means these slippers will last. 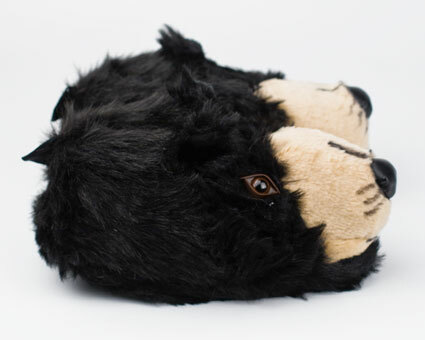 The Black Bear slippers come in five sizes, ensuring a comfortable fit for every member of the family. As always, wonderful service. 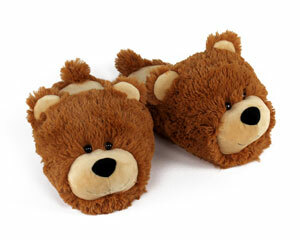 Slippers are exactly as described. 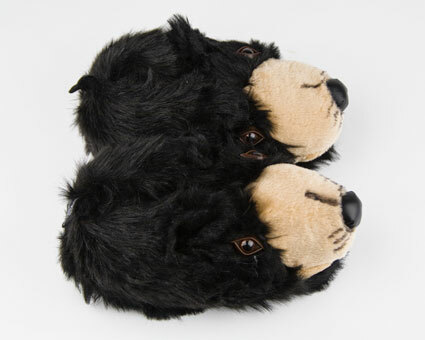 Loved surprising my hubby with these bear slippers. Perfect fit and warm, too! My dad loves them! 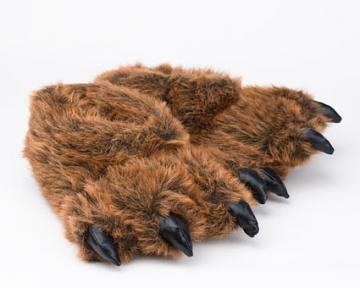 They are super comfortable and warm. Excellent quality and look just like the picture. LOVE,LOVE MY BUNNY SLIPPERS. VERY CAMPY, MAKES FEEL YOUNG AGAIN, LOTS OF COMPLIMENTS. Sent these as a gift and they were a big hit! Very cute fuzzy and warm g friend loved the look of her bear slippers. 1 hr wearing in the house and seams were separating. Not going to waste my time sending them back for the price. I will fix them. 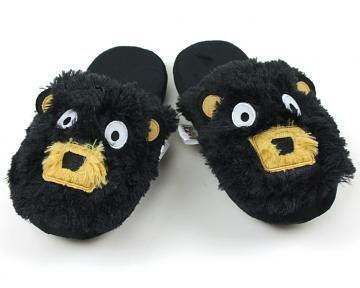 After all they are listed as "novelty" slippers.